Wishing my American readers a wonderful Thanksgiving weekend! I enjoyed Thanksgiving Day yesterday with my parents, my sister, and my brother and his family, my sister, and my parents. We're not all together nearly enough so I treasure these occasions. For the second year, my mother has had us go around the table each giving thanks for something and dropping a bean into a vase. We go around maybe a dozen times, digressing into stories and memories and conversation along the way. The variety around the table is always fun -- everything from family, health, and jobs to stuffed animals and even Xbox. - fabulous design team opportunities - thank you Reverse Confetti, Taylored Expressions (I start with their blog team next week!) and Curtain Call. 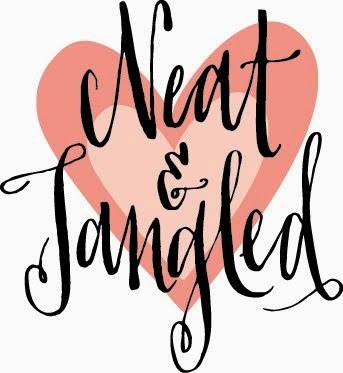 I have a super fun guest spot next week, too - look for those posts Wednesday and Friday. 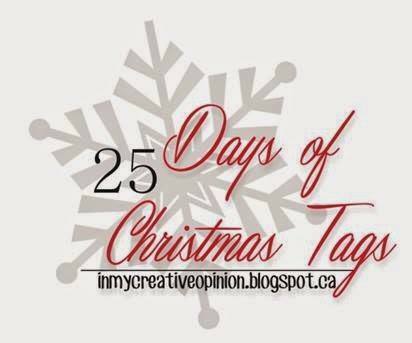 Today, I'm honored to be participating in Tracey McNeely's 25 Days of Christmas Tags series agin. 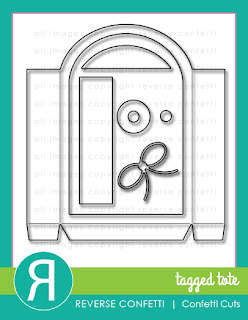 Tracey has invited the Curtain Call Crew to be her guests today, so be sure to stop by Tracey's blog for lots and lots of tag inspiration! For prize details, click HERE. 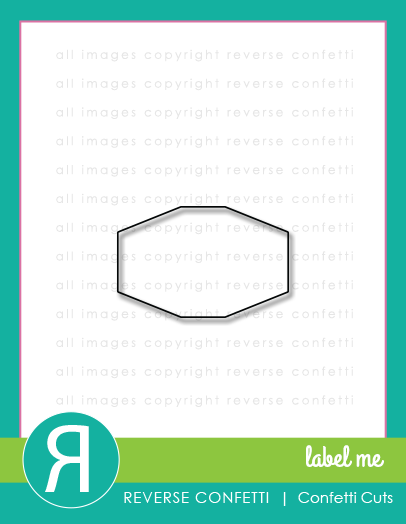 For today's tag inspiration, click HERE. 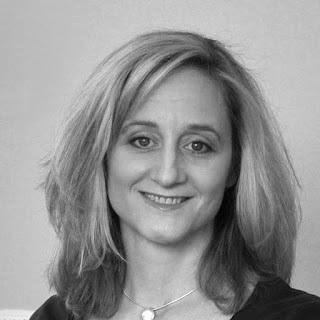 Thanks, Tracey, for having us as your guests today! 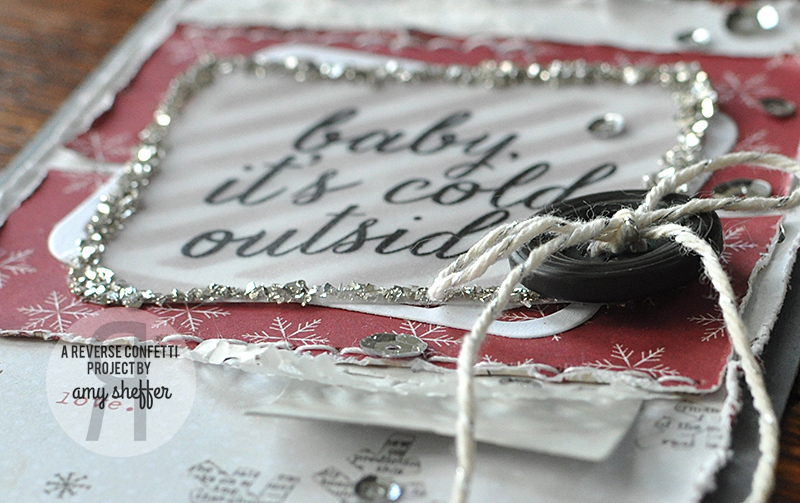 For my tag, I started out with the wire "joy" by Jillibean Soup. 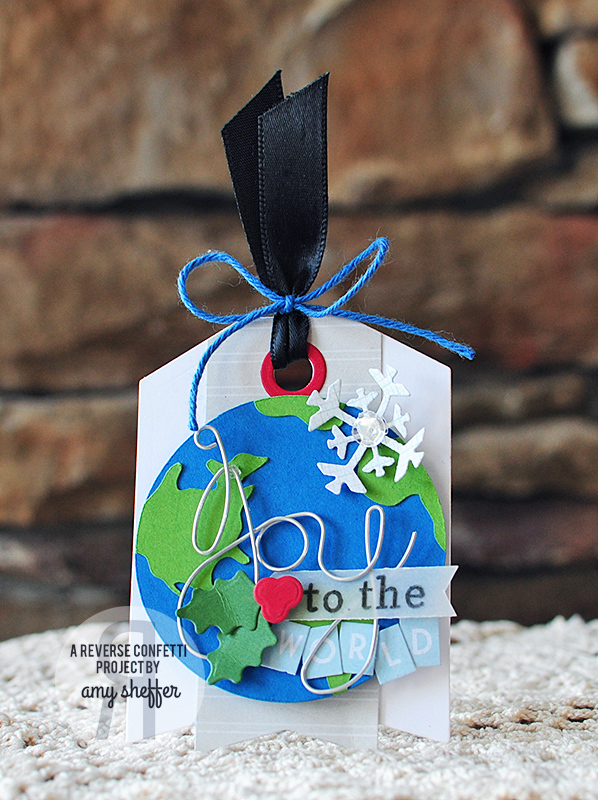 I decided to use it as part of a "Joy to the World" sentiment and pair it with a globe that I cut with my Silhouette. 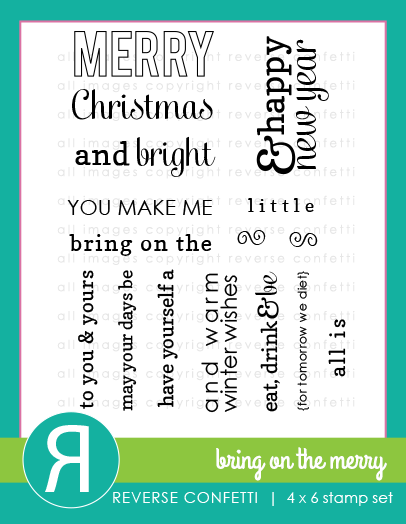 The letters "to" and "the" were done by combining individual letters from Reverse Confetti's BRING ON THE MERRY stamp set. "World" is spelled out in letter stickers by Authentique. 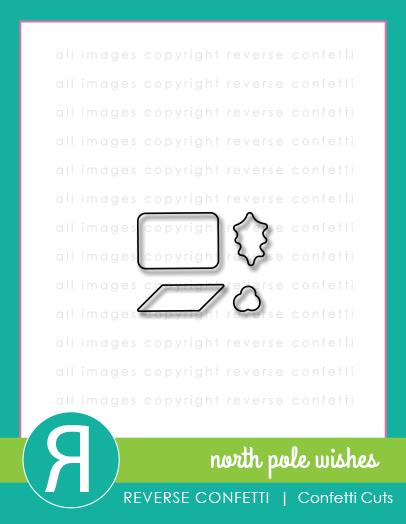 Christmas accents include holly from Reverse Confetti's NORTH POLE WISHES Confetti Cuts die, and a snowflake from Reverse Confetti's LET IT SNOW Confetti Cuts. 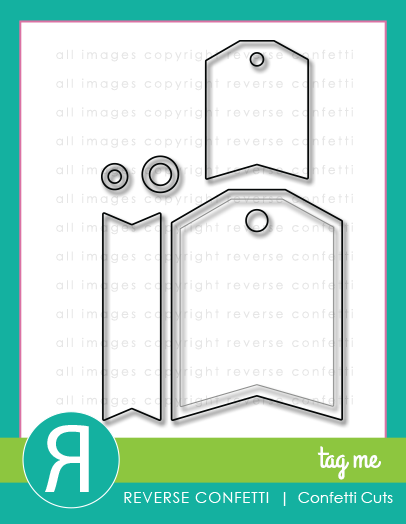 The tag was cut with Reverse Confetti's TAG ME Confetti Cuts die set. Hello sweet blog friends, I'm so excited to share that I'll be joining the Taylored Expressions blog team beginning in December! I've been a fan since Taylor first opened her doors for business, and have loved watching the product line expand and evolve over the years. 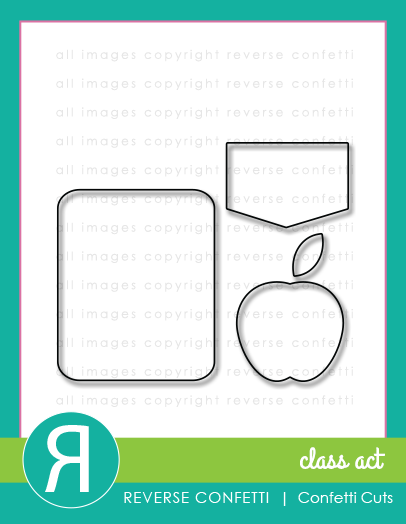 Looking forward to getting creative with all the fun products! 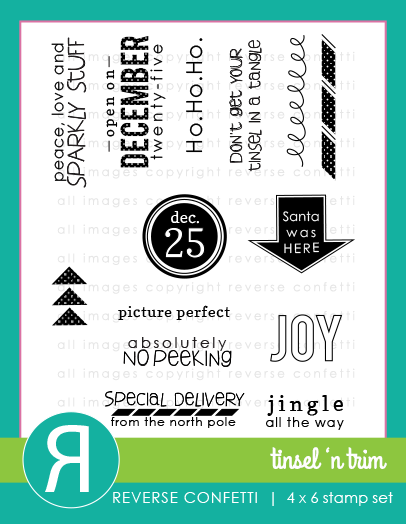 I'll be joining some very talented paper crafters, too, both returning team members and the other new faces. 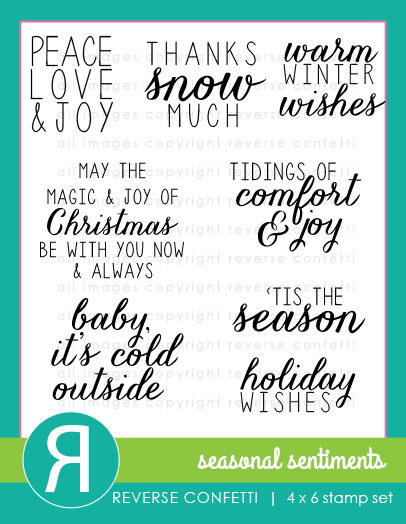 Check out the announcement over on the Taylored Expressions blog! Thanks for sharing in my excitement! Hello friends! 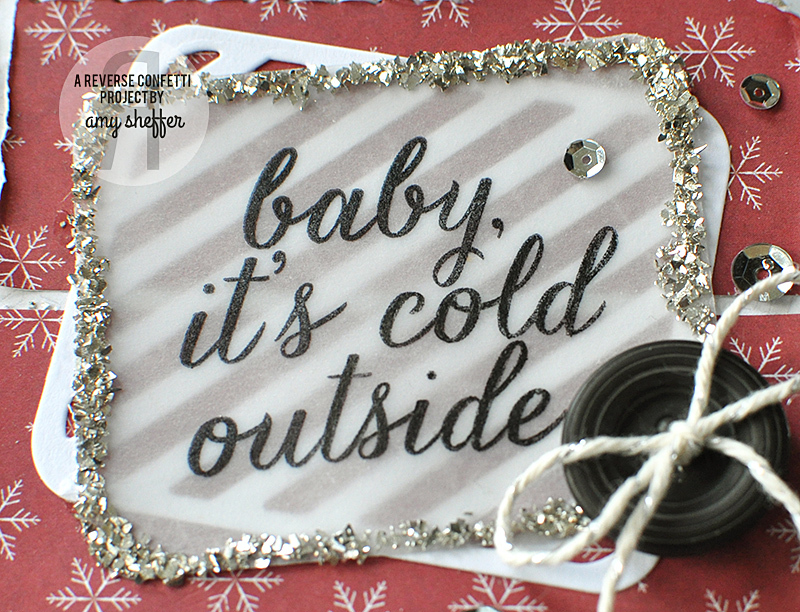 The Reverse Confetti Crew is playing along today with Tracey McNeely and her awesome 25 Days of Christmas Tags blog series. 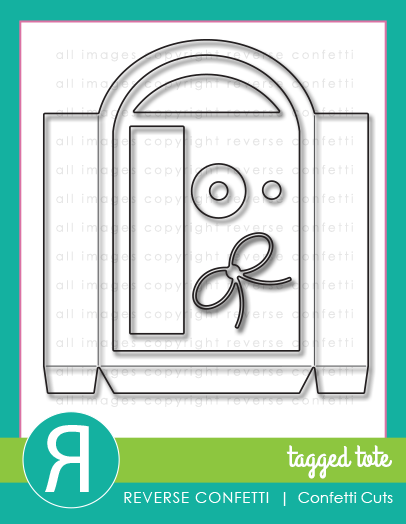 If you love tags, this is a must-follow series! During the 25 days, there are lots of chances to win prizes. The main Day One prize has five opportunities for you to enter. All subsequent days have one opportunity each. 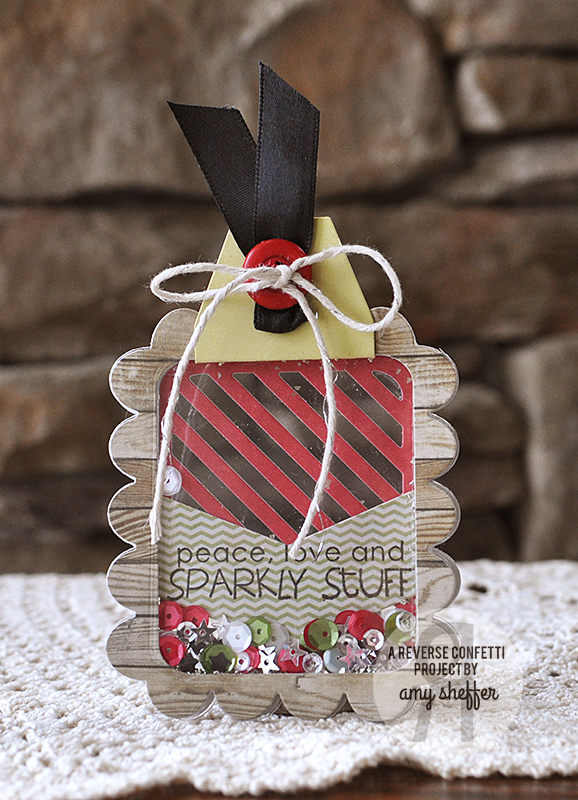 Visit all the guest designers and comment on their blog posts for yet another chance. Deadline to enter is November 27, 11:59 pm EST. Entry guidelines are posted HERE. I have a confession: I've never, ever, ever before today made a shaker card, not even back when I first started stamping and shaker cards were "the thing." So for today's tag, I fixed that! I decided to make my shaker tag see-through, so all that sparkly stuff is sandwiched between two acetate windows. 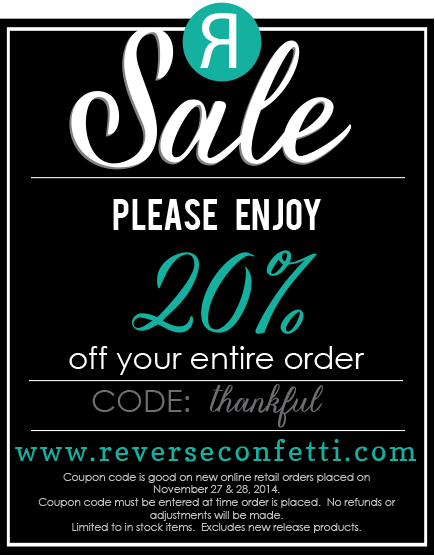 The window was done using Reverse Confetti's LOVE NOTE and CLASS ACT Confetti Cuts die sets. I filled the shaker with a DIAGONAL STRIPE PRETTY PANELS Confetti Cuts die-cut, a sentiment from TINSEL 'N TRIM stamped onto a chevron that I die-cut with the TRIPLE CHEVIES Confetti Cuts die and of course, lots of red, white, green, and silver sequins, as well as a sprinkle of silver glass glitter. 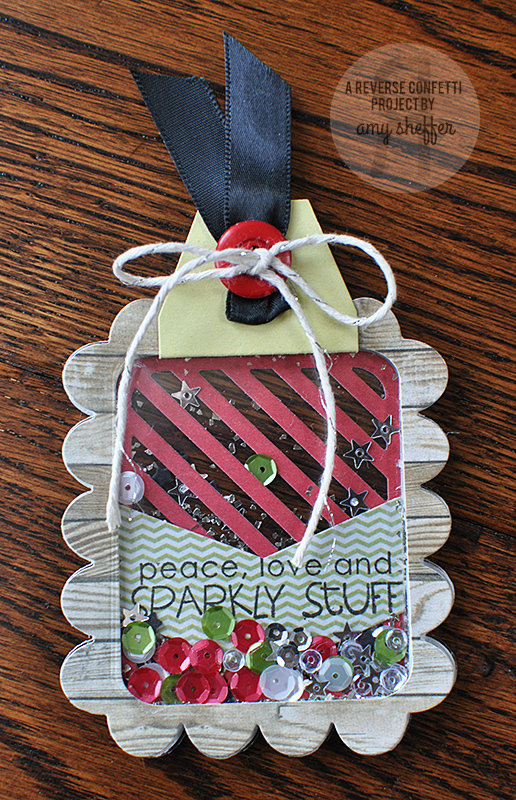 I needed to add some kind of tag topper, so before I adhered the woodgrain frame to its corresponding acetate panel, I die-cut a green label using the LABEL ME Confetti Cuts die, folded it in half, slipped it around the woodgrain frame, and topped it with a ribbon/button/twine accent. 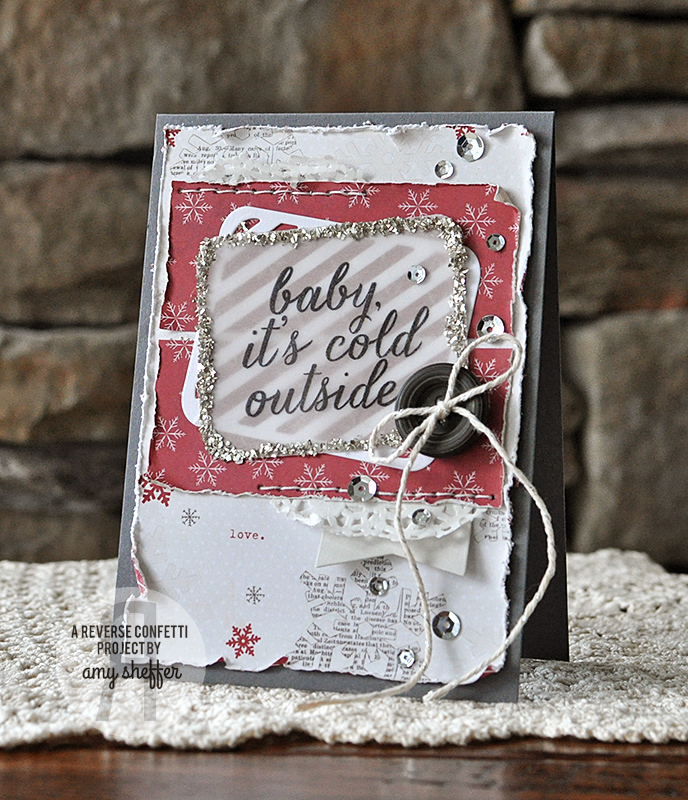 Just popping in to share my November Sketch For You To Try creation, featuring a sentiment from Reverse Confetti's new SEASONAL SENTIMENTS set. 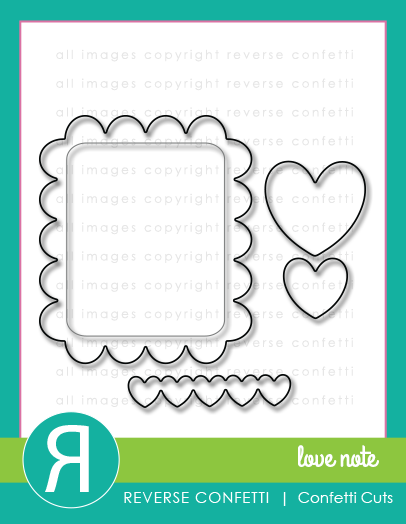 For the focal point rectangle, I layered a vellum sentiment panel (cut with the rounded rectangle from CLASS ACT Confetti Cuts set) over a DIAGONAL STRIPE PRETTY PANELS Confetti Cuts die-cut. The vellum panel perimeter is covered in silver glass glitter. One more detail shot. 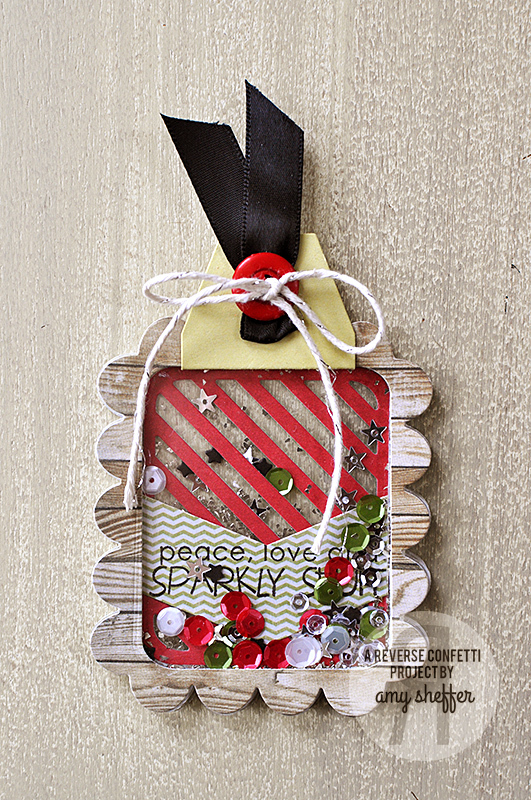 I just LOVE that sparkly glitter! 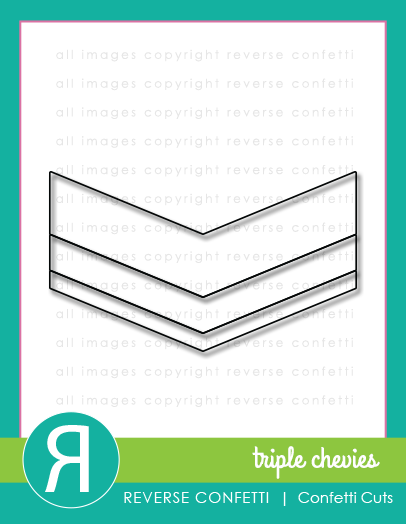 Hope you'll play along too! 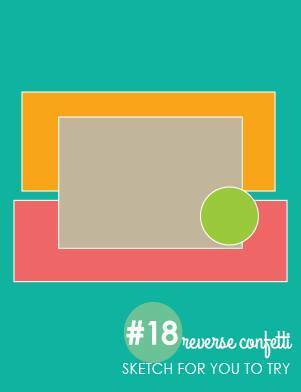 Visit the Reverse Confetti blog today for lots of sketch inspiration. 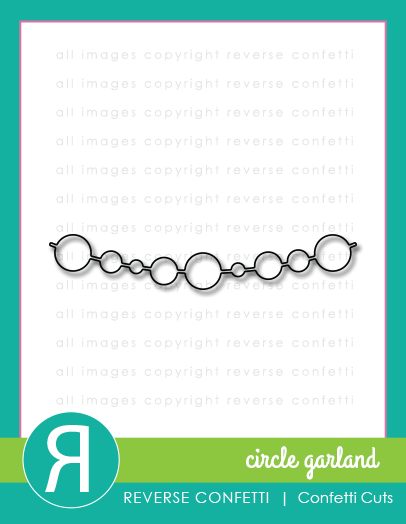 Link up your creation HERE. 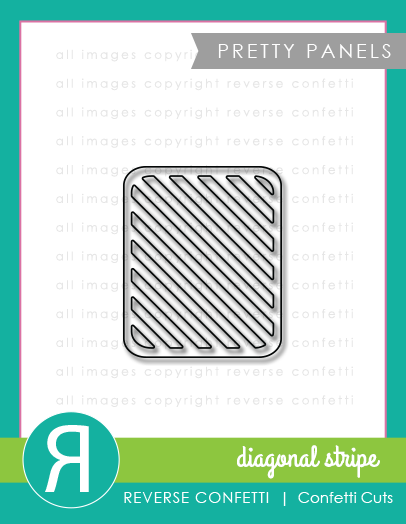 We have a new sponsor, STAMPlorations, for the Curtain Call Inspiration: Pin Cushion! 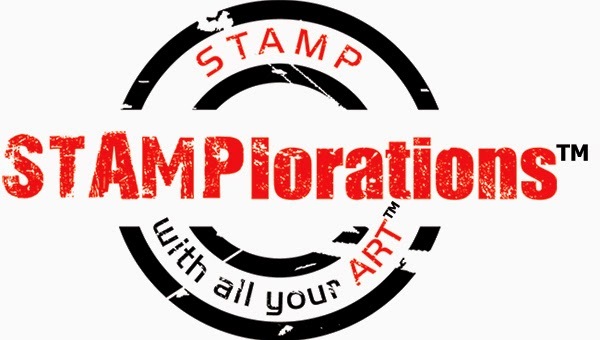 A randomly selected participant in the Pin Cushion challenge will receive a $15 gift certificate to use at STAMPlorations, while the LEAD will be invited as a Guest Designer in a future challenge! I was inspired by the sewing theme of the inspiration photo, but I don't have any sewing stamps (must remedy that another day). 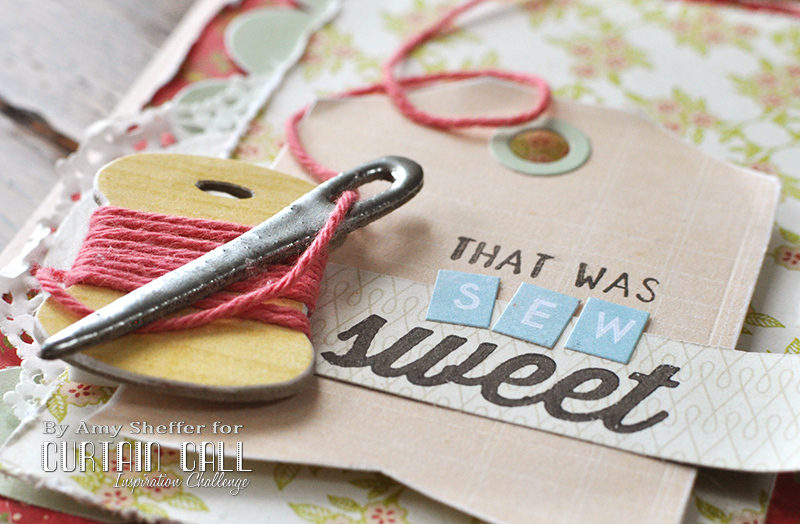 What I do have is lots and lots of Maya Road chipboard, in particular the Still Sew Cute collection, which includes, among other things, spools and needles. I covered a spool in a woodgrain pattern, then wrapped some strawberry twine around it. 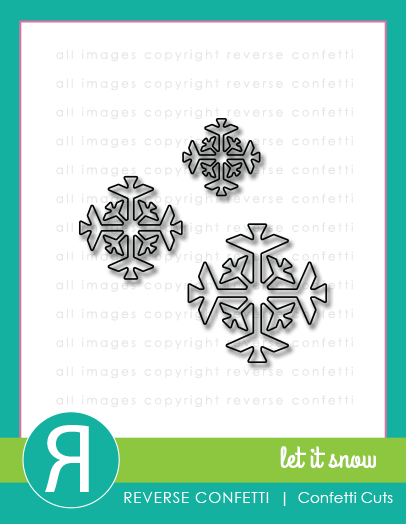 The needle is heat-embossed in silver (two times for extra coverage). 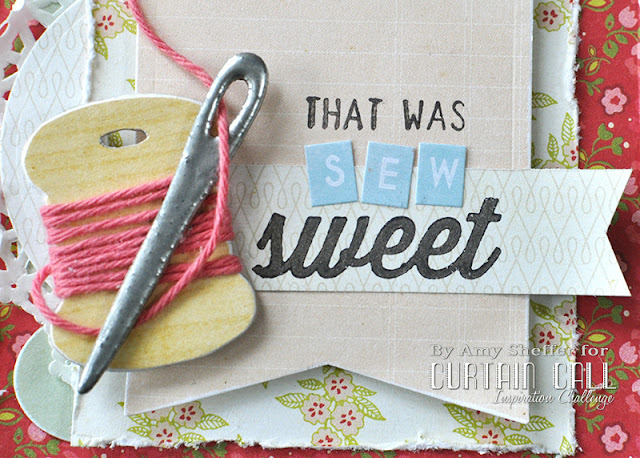 The sentiment is from Reverse Confetti's SWEET THING -- I just replaced the word "so" with tiny alphabet stickers spelling out the word "sew." 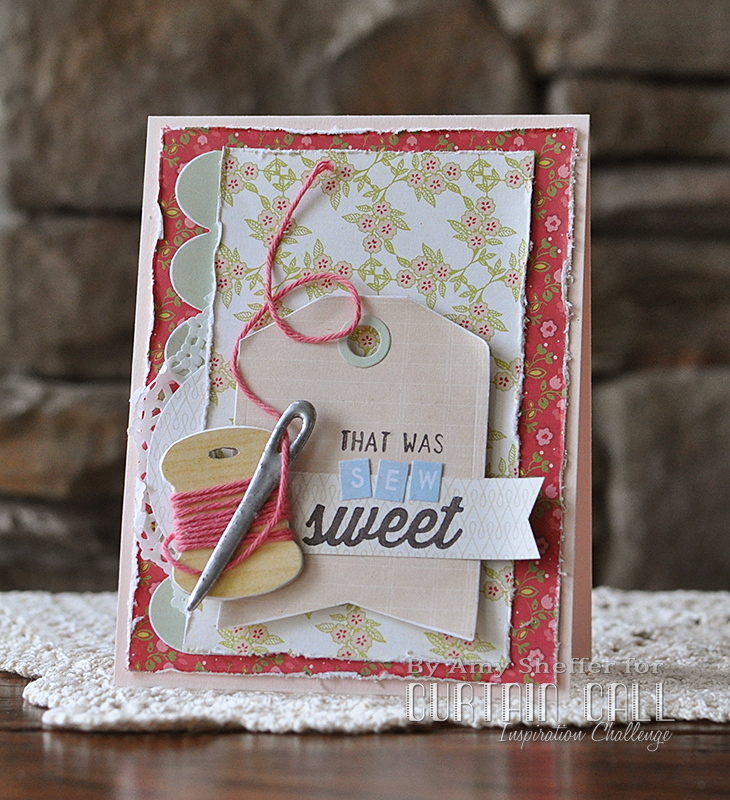 In the background is a pink tag that I die-cut using the TAG ME Confetti Cuts die set from Reverse Confetti. Along the left edge is a DOUBLE EDGE SCALLOP BORDER Confetti Cuts die-cut. 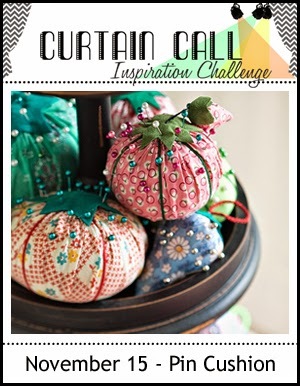 Stop by the Curtain Call Inspiration Challenge: Pin Cushion for the challenge details and to play along with us! 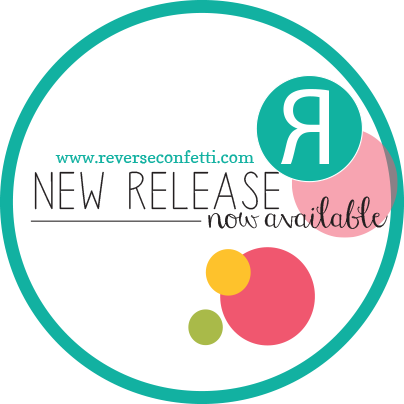 Hi friends, I'm over on the Reverse Confetti blog today with a Wednesday in the Works project. 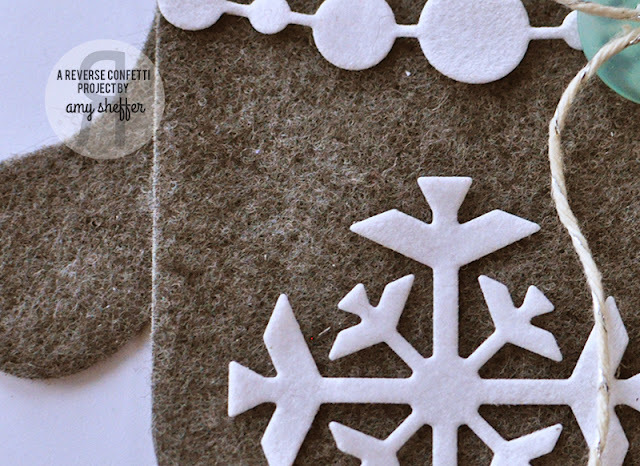 Today's focus: combining Confetti Cuts dies in a fun, creative way and using felt to add warmth to your projects. 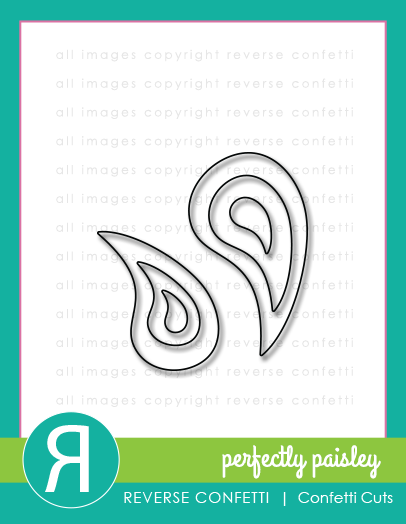 Can you tell what I've made with the rounded-top tag from the TAGGED TOTE Confetti Cuts set and a paisley from the PERFECTLY PAISLEY Confetti Cuts set? Hope you'll visit me over there!